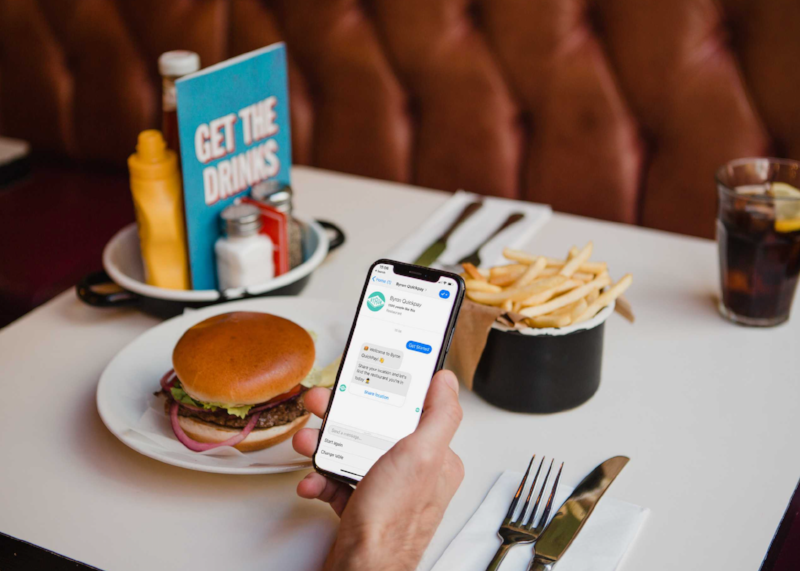 Byron has become the first restaurant chain in the UK to begin rolling out a new payment bot to its sites, enabling customers to pay for their bill using Facebook Messenger. Hospitality tech company Flyt created the ‘bot’ behind this technology, which could soon become the ‘norm’ in restaurant chains across the UK. Byron Quickpay works by the customer simply opening Facebook Messenger, selecting the Byron restaurant location and entering the table number. The bill is recalled from the POS system and displayed in Messenger for the customer to approve and pay with one click. The tech can be bought directly from Flyt, or alternatively it can be offered by other software developers who can use Flyt’s platform to create their own Facebook Messenger-powered payment ‘bots’ for restaurants. When the bot was first piloted by UK restaurant chain Wahaca earlier this year it accounted for up to 14.5% of payments in the restaurant, with a peak conversion rate of 69%. Tom Weaver, CEO, Flyt commented: “Most pay-at-table experiences are app-powered so the diner has to download the restaurant’s app in order to pay. But this bot makes pay-at-table easily accessible as Facebook Messenger has 1.3 billion monthly active users worldwide. It’s the perfect example of how relatively simple tech can be used to improve the customer experience and draw more people to your restaurant. The bot first made its debut at the F8 Facebook’s Developer conference in May where it was showcased as one of Facebook’s favourite applications of its bot technology.